Brett Cullen, seen here in The Dark Knight Rises, will raise a Dark Knight in Joker. 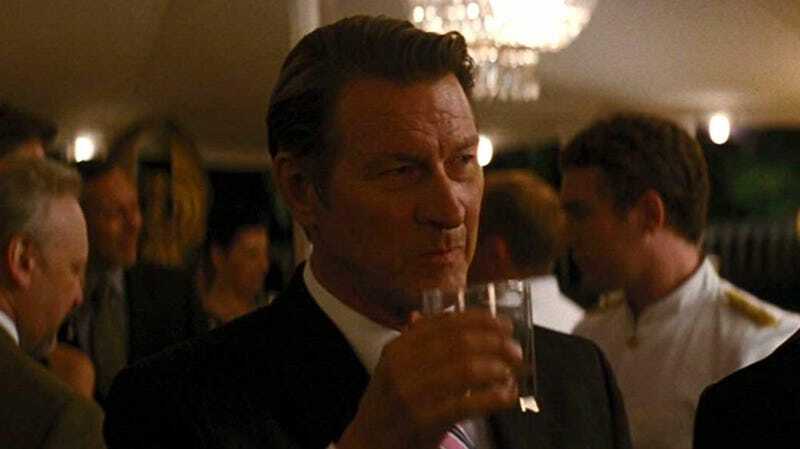 Brett Cullen, who played a small role in Christopher Nolan’s The Dark Knight Rises, is coming back to the Bat-universe with a role in Todd Phillips’ Joker. According to Comic Book, Cullen will play Batman’s dad Thomas Wayne, a role Alec Baldwin famously was cast in for all of a few days. “I’m no longer doing that movie,” Baldwin said soon after news broke that he was in the film. “I’m sure there are 25 guys who can play that part.” And, it seems, Cullen is one of those. His long list of credits also includes roles in Lost, Person of Interest, and Ghost Rider, among others. When we first heard that Thomas Wayne was in the Joker origin story, the role was described as kind of a cocky, brash ‘80s mogul inspired by Donald Trump. It’s not clear if that’s still true or not—but the Comic Book story does say Wayne won’t be a beloved character, as fans have come to expect from most iterations. Phillips recently started shooting the film and commemorated the occasion by revealing the first official photo of his star, Joaquin Phoenix, as “Arthur,” who’ll eventually become the Clown Prince of Gotham and Batman’s top adversary. This film, one of several upcoming DC films, is slated to open on October 4, 2019.